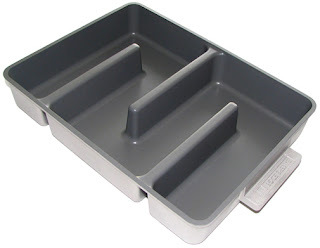 I've seen it everywhere, in The Baker's Catalogue, Kitchen Krafts, on Amazon, written about by fellow food bloggers, AND YET, I mention it to my brownie-loving relatives and they've never heard of it. So this goes out to them. They're the ones still fighting over who gets the edge. 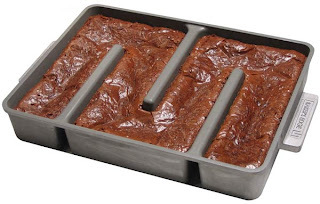 if you just make your brownies in a cup cake pan without the cup cake papers you can have even more edges and then you have no need to keep around another specialty pan. im just sayin.